I missed the last week in August as I was traveling with my sister and my little one. But I was saving the best Yarnfic for last. 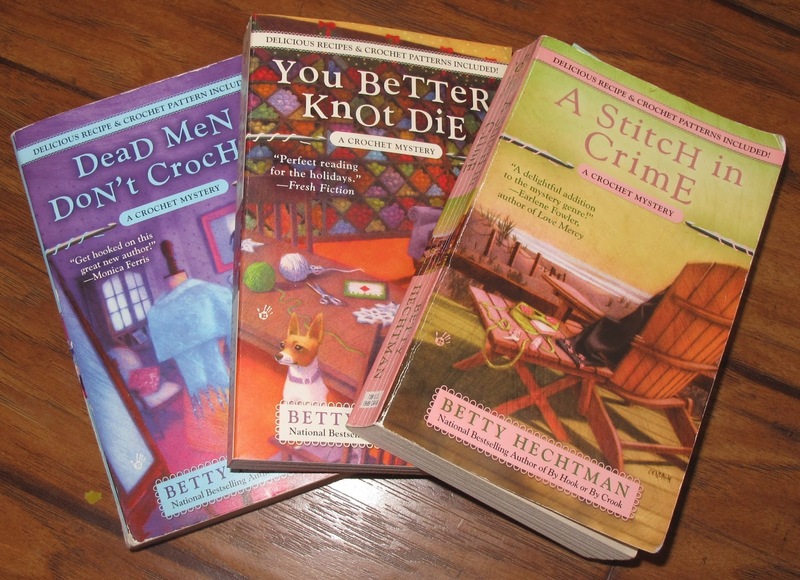 Afterall, the Crochet Mysteries series by Betty Hechtman is the ONE AND ONLY fiction series about crochet!!! 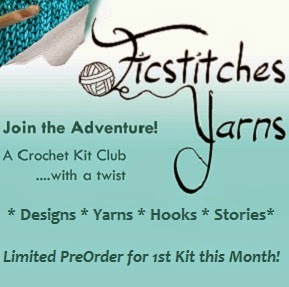 There are so many knit-themed series, and even ones about spinning, scrapbooking, and renaissance faires. 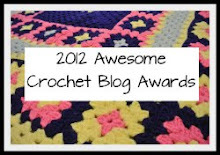 Why not more crochet?! This series centers around Molly Pink, who tends to run across dead bodies so often she has developed a reputation, much to the shagrin of her homicide detective "boyfriend" (can you really call a man in in 50s a "boy"?) and her two grown sons. Molly began working at the local bookstore after her husband passed away where she runs the special events, including a charity crochet group that meets there regularly, the "Tarzana Hookers", who tend to help her with solving the murders she keeps running into. 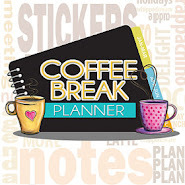 Being set in Los Angeles, the "Hookers" are a colorful cast of characters from a retired sitcom star, to an extremely handsome male book cover model, to Molly's overly accessorized crochet-evangelist coworker who wants to run the show. 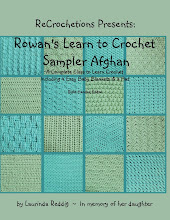 With so many experienced crocheters, they are always willing to teach a newbie the joys of crochet, including Molly who is a beginner and learns about new types of crochet in each book. I have to admit that I was a bit disappointed in the first couple of books. 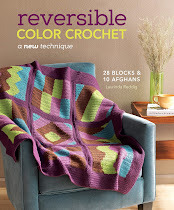 Since the main character is just learning and the stories do not take place in a yarn store, I missed the depth of detail about yarn, colors and stitches I had come to expect from my favorite knit fiction series. 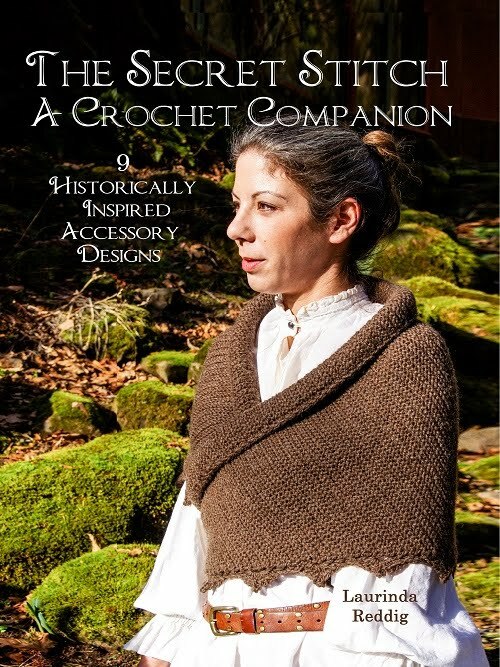 But I started reading the books again after meeting Ms. Hechtman last year at the CGOA Knit and Crochet Show in Reno, because afterall, they are about CROCHET! They have certainly grown on me. 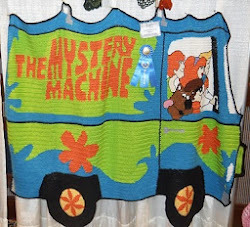 I really enjoy the characters, and how each mystery centers around clues involving a different type of crochet, so the reader learns about that kind of crochet along with Mrs. Pink. 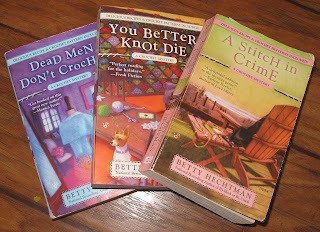 There are 8 books in the series, so I have a few more to go, but I understand that Betty Hechtman is now working on a new series about yarn retreats (after 8 dead bodies, Molly's story may be all told!). 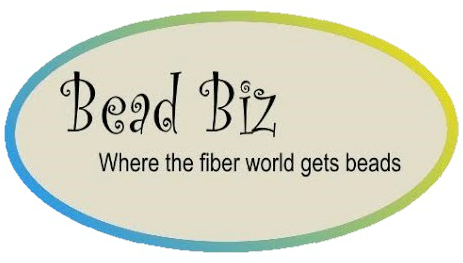 I am currently reading book 4 of the Crochet Mysteries, which happens to be about a creative retreat, and I remember one of my favorite from the Maggie Sefton series was about a yarn retreat as well. I love the idea of being invited to teach my passion in a relaxing retreat So I am looking forward to seeing what Ms. Hechtman writes next! Thank you for writing such a nice post about my books. I remember meeting you in Reno. 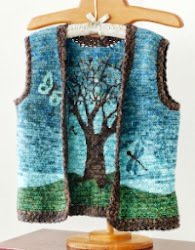 Who could forget that fabulous vest you made. You certainly deserved to win the COGA award. Just to let you know, If Hooks Could Kill comes out in paperback November 5, along with my new book, For Better or Worsted. Molly and the Hookers are at it again.